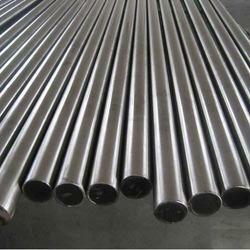 Manufacturer of a wide range of products which include high speed steel round bar, t42 high speed steel, m2 high speed steel 1.3343 din, m35 high speed steel, m42 high speed steel and m2 high speed steel. Application Forging Dies, Cold Forming Tools, Hobs, Twist Drills, Milling Cutter, Taps, Punches, Trimming Dies. Packing details: Round Bars/Plates- In wooden boxes. Also banded in a minimum of 4 places for larger diameters. Plastic/Woven Packaging provided too. Application Turning and Milling tools for roughing and finishing work, wood working tools, highly stressed cold work tools, tool bits. 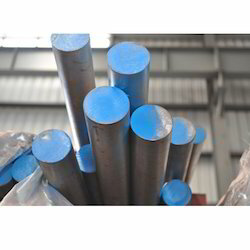 M42 super high speed steel is a premium cobalt high speed steel with a chemical composition designed for high hardness and superior hot hardness. These properties make the steel an excellent choice for machining high-strength and pre-hardened steels, high-hardness alloys, and the difficult-to-machine, nonferrous super alloys used in the aerospace, oil, and power generation industries. 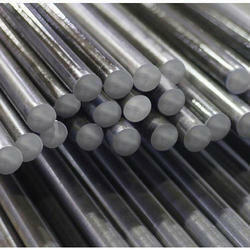 M42 exhibits excellent wear resistance by virtue of high heat-treated hardness (68 to 70 HRC), and the high cobalt content imparts the hot hardness. As such, the cutting edges on tools made from M42 super high speed steel stay sharp and hard in heavy-duty and high-production cutting applications. 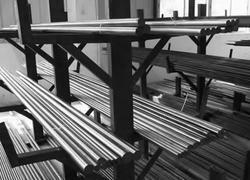 APPLICATIONS: Twist drills, taps, milling cutters, reamers, broaches, saws, knives, and thread rolling dies. 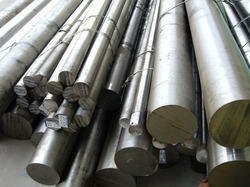 High Speed Steel is extensively used at various industrial sectors. Thread Cutting tools, twist, drills, reamers, broaches, metal saws, milling cutter. Turning, Planning tools of all types, milling cutters, brooches and Hobs, taps,Twist drills, woodworking tools, cold work tools. Milling cutters, Twist drills, taps, Broaching tools, cold work tools. Turning, planning Slotting Bols, Taps, Twist, Drills, threads Dies. Turning, Planning Milling tools, in particular for roughing work.. Turning and Milling tools for roughing and finishing works, wood working tools highly stressed cold works tools, tool bits. Application Machining super alloys, usage in drills, hobs, taps, end mills, mill cutters, form and gear cutters, broaches, chasers.